It’s that time of year when we get all reflective and look back on our successes and failures of the year that’s just flown by. We’ve published some great content this year on The Writer’s Cookbook, so I wanted to take a look back at some of it. As a writer and marketer, it was encouraging to see that it was pretty even between evergreen and new content in the top posts for 2017. It shows that old content is still relevant, while new content resonates with readers, too. In this list I’ve only included the top posts that were published in 2017, but if you’re wondering, the top post overall for 2017 was How to Write Anxiety (published in 2016). So, without further ado, let’s look at the best posts from The Writer’s Cookbook in 2017. In this post, I take a look at two of the most popular writing programs out there. There’s an in-depth comparison of their features, as well as a tl;dr version at the end. If you’re wondering about Scrivener 3, that’s covered in another blog post (see below), but I’m hoping to update this one soon. This was a latecomer to the party, but it did well in part thanks to Scrivener sharing it on Twitter (thanks, if you’re reading this!). I still haven’t had chance to play with Scrivener 3 as much as I’d like, but I can’t wait to experiment some more with its new formatting features in the new year. Knowing which social media platforms you need to be on can be confusing for anyone. When you’re a writer, it can be the difference between someone seeing and reading your work and it disappearing into nothingness. This guide breaks down the different social media platforms and how they can help you, based on whether you write fiction, poetry, nonfiction, or scripts. Writing about grief in a realistic and sensitive way is important for writers to really resonate with their audience. Having recently had a friend diagnosed with ADHD as an adult, I decided to do some research into it. While ADHD is often associated with children, it’s a lifelong condition and many people are diagnosed as adults. It’s always nice to know when people appreciate your sarcasm. That wasn’t meant to sound sarcastic. Writing sarcasm is hard. People interpret what they read in different ways. How can you possibly ensure that your words are read in the way that you intended them to be? This was a guest post by Comps and Calls creator, Cathy Bryant. If you’ve ever doubted your ability to write, or whether or not you should enter a writing competition, you need to read this blog post. Another one of our how to write guides, this one is particularly close to my heart as stress has caused me many long and short-term health problems. Stress can cause us much more damage than we realise. Raising awareness by writing about it helps us and our readers to recognise the signs and (hopefully) prevent it from doing long-term damage to our mental and physical health. 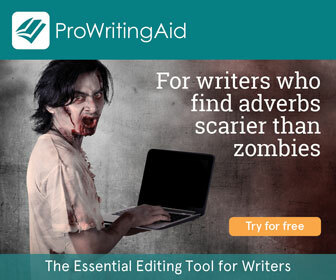 Having the right editor can make a huge difference to your writing. It’s like a little black dress—the right one will hug you in all the right places and give you just the silhouette that you want. The wrong one will cling to all your wobbly bits, make you look frumpy, and make you hate yourself just that little bit more. The most important question any writer will face: how do you know when your book is ready? There’s no flashing neon sign. There’s no bird whispering in your ear. So how, exactly, are you supposed to know? What are the best posts you’ve read this year?